Most people know that traffic violations carry a fine for offenses such as speeding, running a stop light or stop sign, and expired inspection stickers but there are also more serious offenses such as driving with a suspended license which carries an automatic 90 days in jail. Whatever traffic violations you find yourself facing, Damon C. Hopkins can help. Traffic violations don’t just bring expensive fines and costs; they can also carry points on your driver’s license and sometimes suspensions of your license. If you don’t know what you’re facing it can be disastrous, and the police don’t have to tell you. 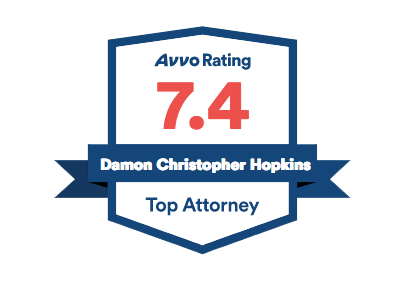 Call Attorney Hopkins’ office today for a free evaluation of your case. If you are cited for careless driving, you will get three points on your license. Once you reach 6 or more points, you have to attend PennDOT’s safe driving school or you lose your license. If you get 11 or more points, your licence is taken away permanently. If you were instead cited for reckless driving, where there were no points added to your license but you were given a fine, you might think the officer was helping you out. However, a few weeks later a notice would come in the mail telling you that your license was going to be suspended for three months. People get tricked like this all the time, don’t let it happen to you. Points on your license can raise your insurance and eventually lead to suspensions. Getting caught driving while suspended will cause even more consequences, such as longer suspensions or jail time. Traffic violations are severe and can cost you a lot of money in the long run. When you take an experienced attorney with you to traffic court, you have the best chance possible to avoid costly points, fines, and suspensions. Attorney Hopkins has been handling traffic cases for over 22 years. Speeding tickets are a common example of traffic violations Attorney Hopkins can help you fight. Consulting with an experienced traffic violation lawyer can help you get speeding tickets reduced, or even dismissed. Fighting for your rights, Attorney Hopkins can minimize possible points and fines that may result from speeding tickets. Consulting with a traffic violation lawyer can help you lessen the consequences from a ticket for an expired inspection. Talking with a traffic violation attorney can offer you guidance in how to reduce points, fines, or even dismiss the ticket against you. Contact Attorney Hopkins today to get help with your expired inspection traffic violation. From forgetting to flick on your turn signal to failure to stop at a red light, a traffic violation lawyer can help reduce the consequences. No matter how minor it may seem, Attorney Hopkins can help you deal with any potential points or fines you may be facing. So you went it alone, got convicted, and maybe even got your license suspended? It may not be too late for you. Call Attorney Damon C. Hopkins right away; if your case is less than 30 days old, we can file an appeal from your conviction and your PennDOT license suspension, so we can handle it correctly. As a traffic violation attorney, Damon C. Hopkins may still be able to save you the costs, fines, points, and suspensions. Get treated with the respect you deserve in combination with the representation you need.